Today’s blog is strictly informational. Much progress has been made in the past week with regards to UNGUARDED, Book Two in the “Faces of the War” collection. I finished working this past Friday by sending just over 13K words to my editor. 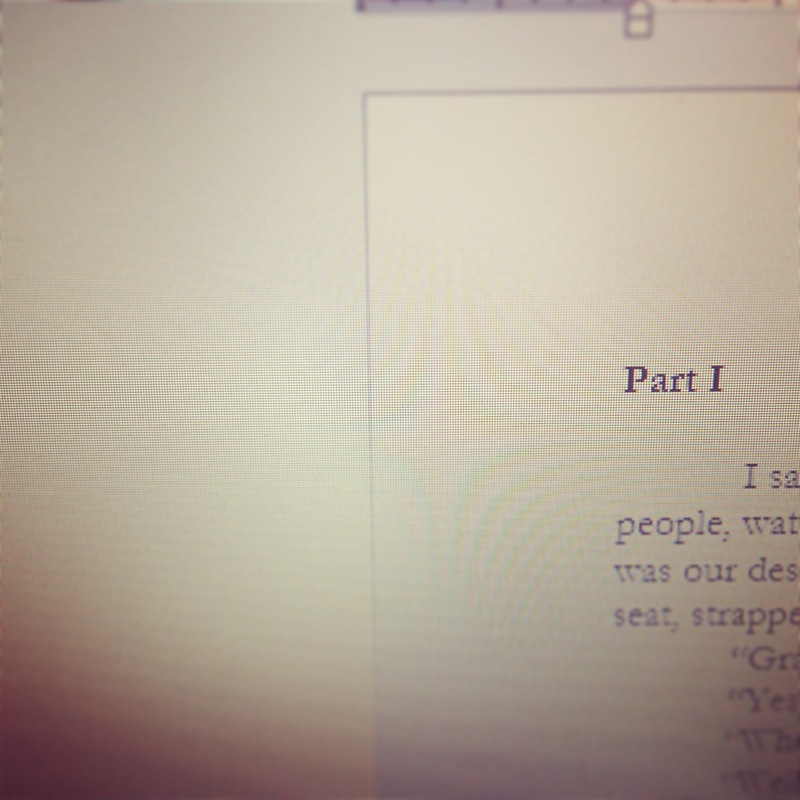 This week will mark the beginning of work on the second 1/3 of the book! As the schedule currently stands, I am well within my goal of releasing the book just after the New Year. Also on the schedule is the first volume of my short story collection, due to release this autumn. More details will come down the pipe as I get closer to finishing it. I also have other projects lined up, but let’s not get ahead of ourselves! If you’d like to stay up-to-date on everything I’m working on, please click that little “Follow” button and join me on my literary journey. I’d love to have you along for the ride! And please, tell a friend about me or my debut book, RESISTANT, available in ebook and print form. Any help in spreading the word is appreciated! I am now more than halfway complete with Part I of UNGUARDED, the second book in my “Faces of the War” collection! I sent the first portion of Part I off to my editor for proofing while I continue writing. So far, the story is coming together really well. I am pleased with the process of this book thus far. I wanted to take a moment to remind you all of something. The “Faces of the War” collection is not a series. The books I write in this collection are not connected in plot, only in genre and time period. I just wanted to reiterate that fact as I go along with this second book so we’re all on the same page. I don’t want to give away too much too soon in terms of details. But I can tell you this: a common thing I’ve picked out of a few reviews of RESISTANT so far is the length. The length of RESISTANT was around 200 pages, and that is what I felt was a good length when I wrote it. I didn’t want to force words onto the page and risk goofing up the story. Therefore, here is a detail of UNGUARDED that I’m sure will be a welcomed one: Book Two will be longer than 200 pages. I’m not sure how much longer it will be, but it will be longer. On another note, I plan to begin blogging twice a week–once on Monday and again on Thursday: the first will be updates on my projects, the second will include tips on writing, publishing, etc. from my experiences. I will let you know when that new schedule actually starts. That’s the main thing I wanted to inform you of today. I plan to knock out 3-5 pages this week, and that work begins today! A new work week has begun, which means a fresh start. Maybe you’ve found yourself in need of a breather after this past week, or maybe you’ve been wanting to continue working since Friday afternoon. Whatever your situation, I hope you are in a great state of mind and are ready to move forward with whatever you are working on. – Optimism, because if you don’t tell yourself that what you’re doing is a great thing, then you’ll have far more trouble succeeding in doing it. Believe in yourself, even if at times it’s hard. – Integrity, because if you don’t keep yourself accountable, then your work will suffer. And it shouldn’t even be called work, in my opinion…because you should love doing it. You hear people say ‘I love my job,’ which usually means they don’t think of it as a task. Don’t think of your writing as a task, but rather something you’re doing because you’re passionate about it. – Variety, because if you keep the exact same schedule and do the exact same thing and think in the exact same way, your work will become stale…and you might not even realize it until it’s much too late. So when I work, I keep these three things at the forefront of my thoughts, and I must say that so far I’ve been pretty satisfied with myself and my material! And part of it is that I apply them to small chunks of time as opposed to tackling what I’d like to do all at once (which can lead to bad quality work and eventually burnout). For example, I don’t plot out what I’m going to do for the next month, season, or even a year. Sure, I’ve roughed out a plan that I would like to see happen (I’m talking mostly about a writing/publishing schedule), but I don’t stick to it exactly how I initially plan it. I specifically I don’t plan things out in great detail on purpose, because writing shouldn’t take on a rigidly structured schedule–it should happen naturally and in its own time. I take my projects a week at a time. And because I work in that fashion, I believe I am a better, more effective writer. I’m not saying that I produce great material because I work in this frame of mind (a first draft is always a first draft), but I truly think that it helps me improve my craft. At times, I work at my desk for 5-6 hours a day, and much of that time is spent on “stuff” related to my current or most important project. However, it’s not necessarily the writing that I’m working on. I might be doing other things that perhaps I shouldn’t be doing at the time…because writing is the most important aspect of being a writer (duh). So, what appears to be a good work session is not really a good work session. It appears as such, but it is actually me beating around the bush, finding other things with which to occupy my time that should be spent writing. Right there, I employed the OPTIMISM, INTEGRITY, and VARIETY I’ve been talking about. It really does help. So again, ask yourself sometime, “How does my work session (or ethic) appear, and how is it really?” I bet you’d surprise yourself with the answer(s) you might find! I hope this is somewhat relatable to you. And I hope that I’ve supplied something of a solution to this problem, if it is an issue you’re dealing with. Those are just my thoughts on the matter, and they may not have the same meaning or effect for you as they do for me. Today begins another week. It is a new beginning for us all, perhaps after a long week or not-so-productive weekend. I look forward to Mondays for this reason. I finished setting up my new work station today. What do you think? It isn’t much, and I will have to expand my space for a new printer I just ordered. I am finally getting my own printer. It may not be all that exciting to you, but believe me–I have been in dire need of one for some time! Something that has been on my mind lately is the notion that writing changes you as a person. It’s something, I think, that not many people–and not many writers–think about often, mostly because they’re so busy with other things to notice. But if you think about it, writing has quite an effect on a person. And that’s a good thing! As writers, we should be aware of our surroundings, of how we perceive things, of how others act in certain situations. Why? Because those little, everyday things help fuel and inspire ideas that can eventually become story details. I read an article recently where the author (referencing how he comes up with story ideas) talked about how he can take a simple, perhaps mundane, thing or event and turn it into a story detail or plot device. By this, he means he creates something complex and intriguing out of simple ideas or notions, just by questioning the situation. This is a good way to get creative juices flowing, which will lend itself to productive writing. If we approach our everyday lives in this way, there should (theoretically) be a never-ending flow of ideas that can help inspire our storytelling. 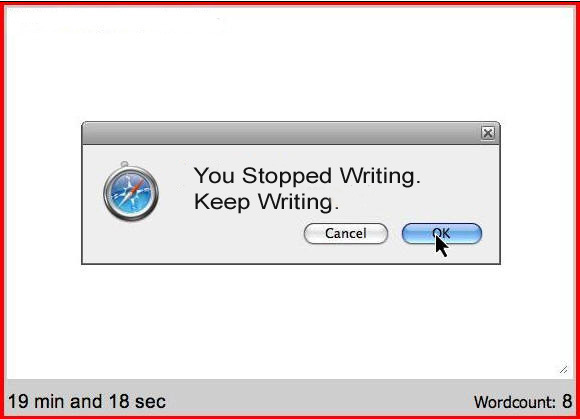 With regard to my own creative process, I use this method to a certain extent. For example, when I was writing my debut novel “Resistant” (available in print and ebook format on Amazon), I chose to create my content through two methods. The first part, fact-based research, is a fairly straightforward idea. I researched information on France during the early years of the war, the time when the Germans invaded and occupied, the fighting that ensued thereafter, and finally the retreat in the final months of the war. Some of this I knew already, but I wanted to be sure I got things right (a good habit to implement, by the way). The second part, what I call fictitious speculation, is the idea that, given what I know about the times in which my story is set, I try to ask myself, “What would this character do in this situation?” I use the concept of questioning things (mentioned above) but apply it in a different way. I don’t want to recreate someone’s real experience; I want to create something new, but inspired. Therefore, I speculate on what might go through the character’s mind, and then go on from there. The only non-factual aspects of “Resistant” were the specific names of the characters and the specific events in which they were involved. Historically, everything else truly happened. I also ask, “What would be expected to happen on the part of the reader? How can I avoid this so that the story doesn’t fall into the realm of cliche, and so I can keep the reader turning the page because they’re interested?” This approach to my writing is something I find very effective. This brings me back to what I first made mention of: writing changes us. If we truly want to write effectively, we need to let our writing infiltrate our lives and become part of us. So the next time you’re “out,” try to view your world through the lens of “Why?” You may just be surprised at what ideas come racing through your mind! Is there anything that comes to mind now that you’d like to put on the table for discussion?